The main landing page for the plugin is a simple layout that provides a thorough description of the product. It also uses a sidebar that contains key features of the product, important product data (e.g. version number), and an add-to-cart button. 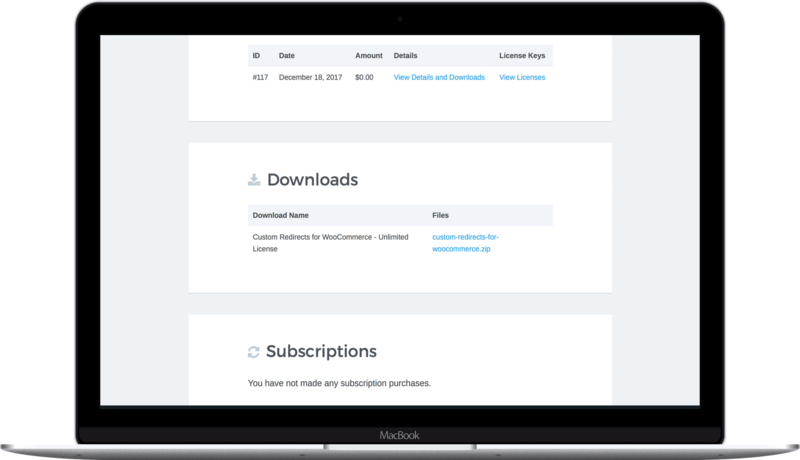 The checkout page is a customized experience built on the Easy Digital Downloads plugin. 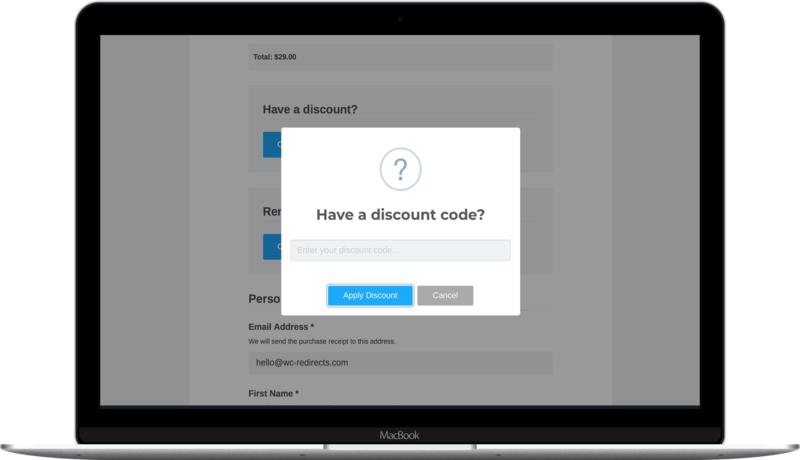 It includes basic checkout fields, and custom inputs for adding discounts and renewing license keys. The account page is highlights important customer data and history, so customers can easily access purchase information, download invoices, and edit their profiles. Thoughts on the Custom Redirects for WooCommerce project. 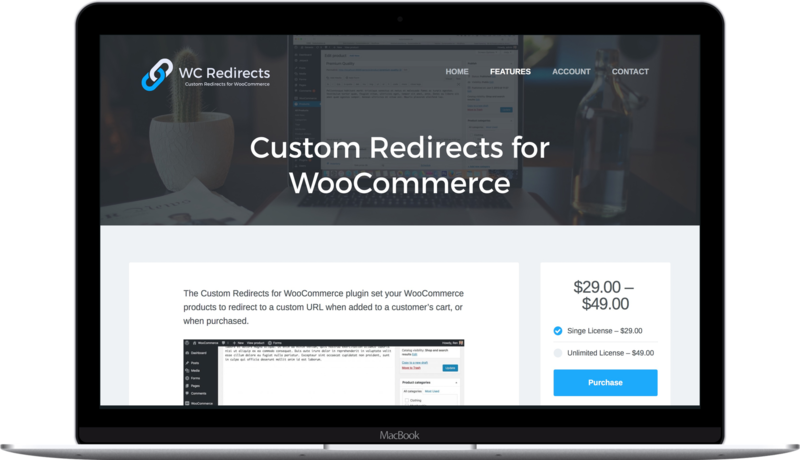 Custom Redirects for WooCommerce is a premium plugin I built for WooCommerce. The website was built on WordPress, and includes numerous customizations for an improved e-commerce experience for selling a digital product.